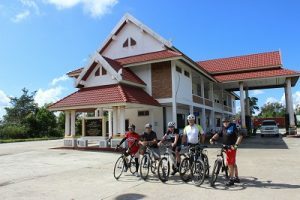 • Summary:This the Cycling Trip with Vietnam Adventure Cycling Tour from Vietnam ,the capital of vietnam to Luangprabang ,the world heritage town in northen of Laos. 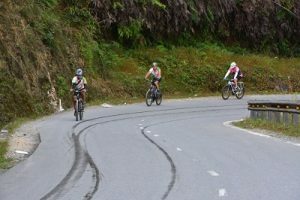 The roads is a bit hilly but we will able to see the stunning and breathtaking mountains of Sapa, the red delta in Hanoi, the historical in Dien Bien Phu.This Biking tour has spectacular changing scenery from the mountain to the minorities village with the friendly locals unused to the presence of tourists. 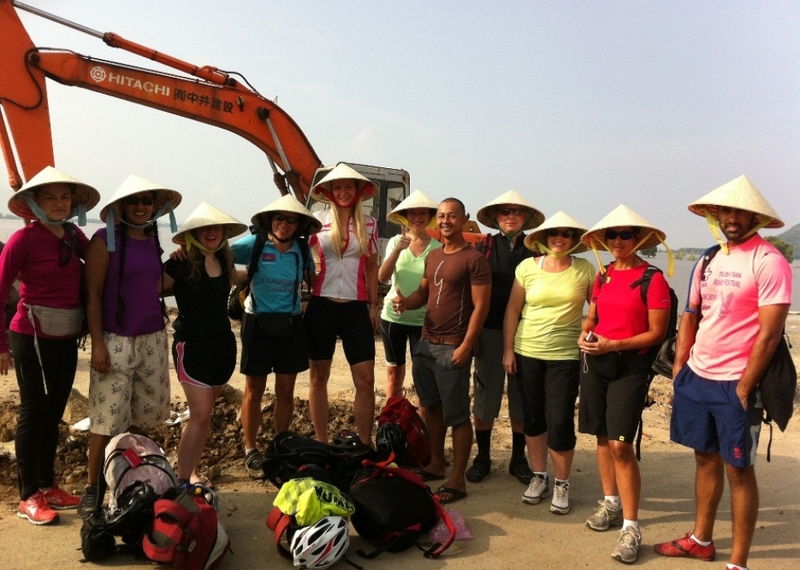 we will cross the quiet and less visited border at Tay Trang. 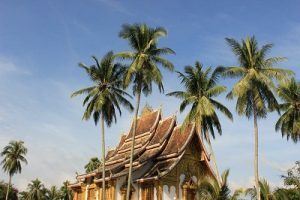 Laos visa on arrival can be obtained at the border now. 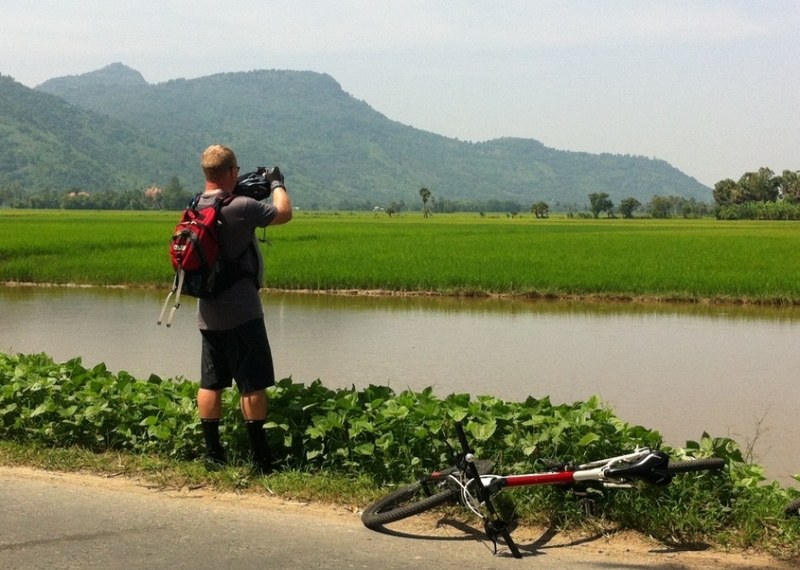 Being mostly downhill along the Nam Ou river in Lao to experience the rural lives at its most authentic and we can concentrate on the views, far more than the pedaling. 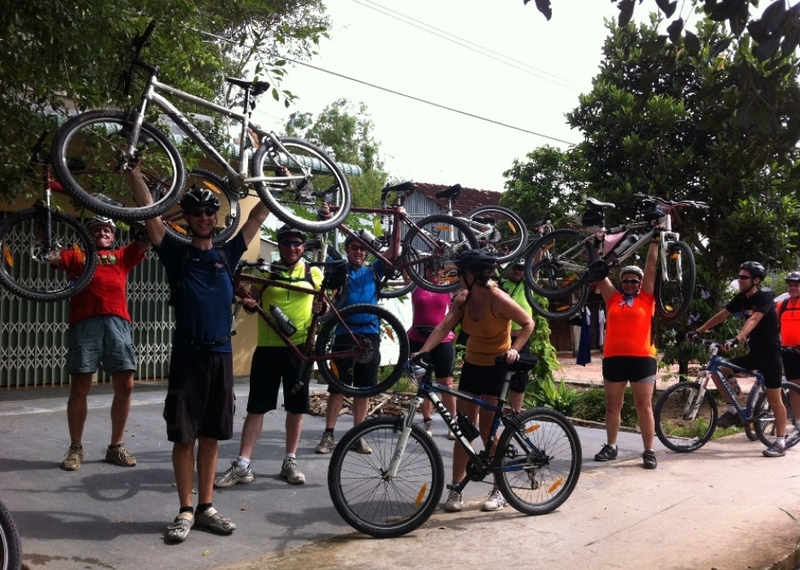 and the small charity will be recommend by Vietnam Adventure Cycling Tour . DAY 1: HANOI-OVERNIGHT ON THE TRAIN TO LAO CAIVietnam Adventure Cycling Guide will pick you up at the meeting point for the walking tour around old quater of Hanoi in the afternoon and do the briefing about The cycling trip from Hanoi to Luang Prabang after diner .The evening we will take the train from Hanoi to Lao Cai.Lao Cai is on the gate to China,Lao Cai lies at the end of the train line on the Chinese border. The border crossing slammed shut during the 1979 war between China and Vietnam and remained closed until 1993. 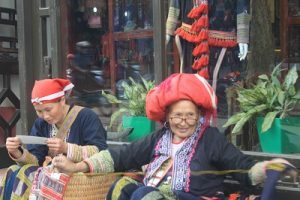 Lao Cai is now a major hub for travellers journey between Haoi, Sapa . 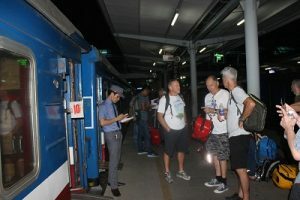 DAY 2: LAO CAI- SAPAThe train will arrive in Lao Cai in morning, the border town to Yunnan province. 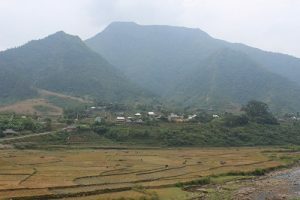 The Van aslo be at the train station for picking us up and transfer to the restaurant for the breakfast .The cycling trip will start with cycling around the boder town to see the daily activity in the boder between Vietnam and China after that we cycling 40 km on scenic uphill road to Sapa .The Queen of Mountains, Sapa sits regally overlooking a beautiful valley, lofty mountains towering over the town on all sides. Sapa is the French hill station was built in 1922. Overnight in Sapa. 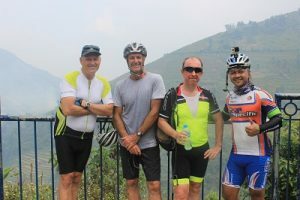 Day 3: TAPHIN LOOP FULLDAY RIDECycling off road track to the village of Ta Phin, when the ride will be more challengingin a loop across a steep and forested hillsides and minority villages.Having lunch in the village before cycling Back to Sapa. DAY 4:SAPA- TAM DUONG- THAN UYENAfter Breakfast at the hotel,the cycling will start with a shorty up hill (15 km) as warm up to the heaven gate (or Tram Ton Pass). 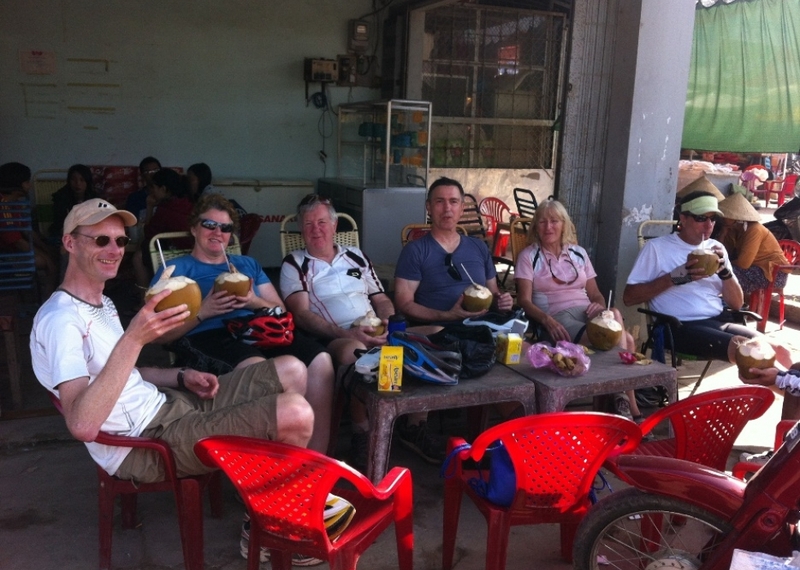 before the desert ride down hill for 24km to Binh Luu.Keep cycling through the small hill to see beautiful valley and tribal villages, particular scenery on the way before reaching Than Uyen .Over Night in Than Uyen. 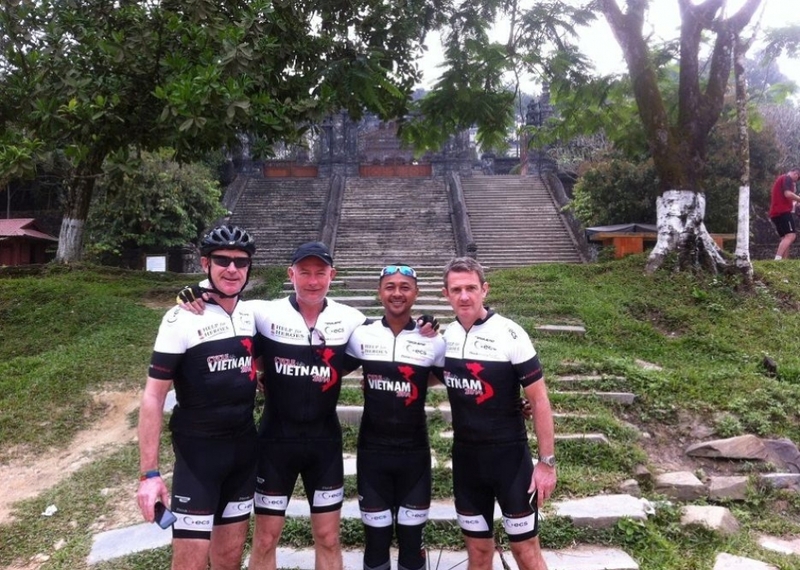 DAY 7: DIEN BIEN PHU- MUANG KHOA,LAOSEarly morning explore the historical sites of Dien Bien Phu. It used to be the big battle field between the French and Vietnamese when Vietnam fought again the French to get independence. 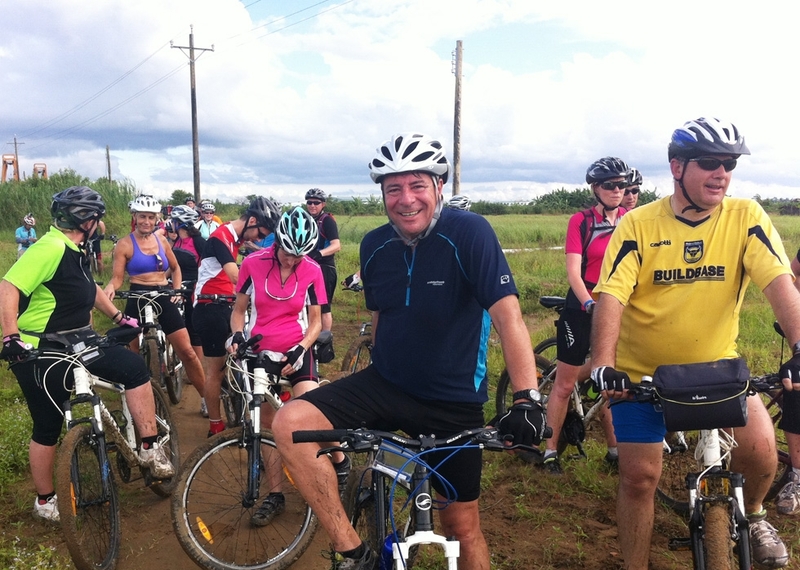 Then we cycle 65 km to Muang Khau after crossing Laos North-East border at Tay Tran. 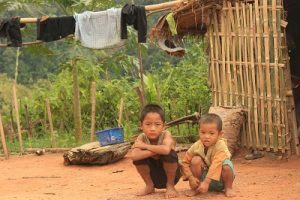 You have to get Laos visa in advance in order to cross Laos land border. 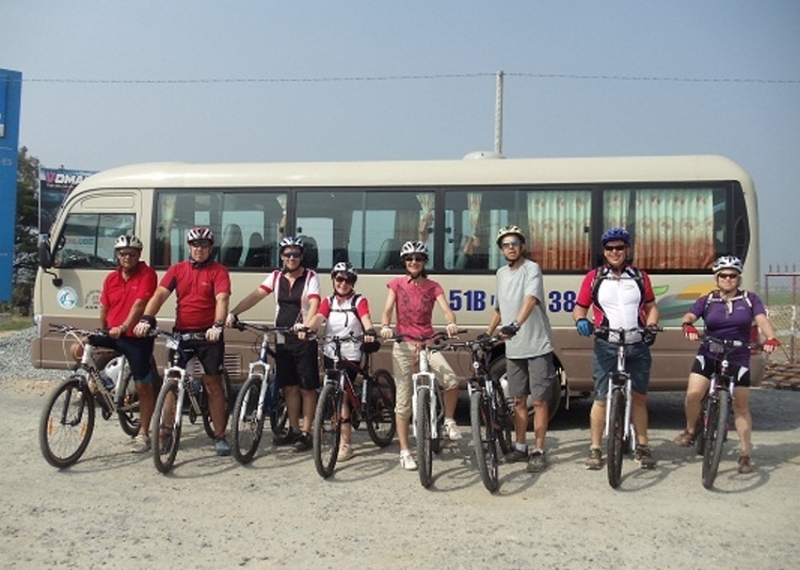 Laos visa on arrival can be obtained at the boder. This northeast area has the least population of Laos. 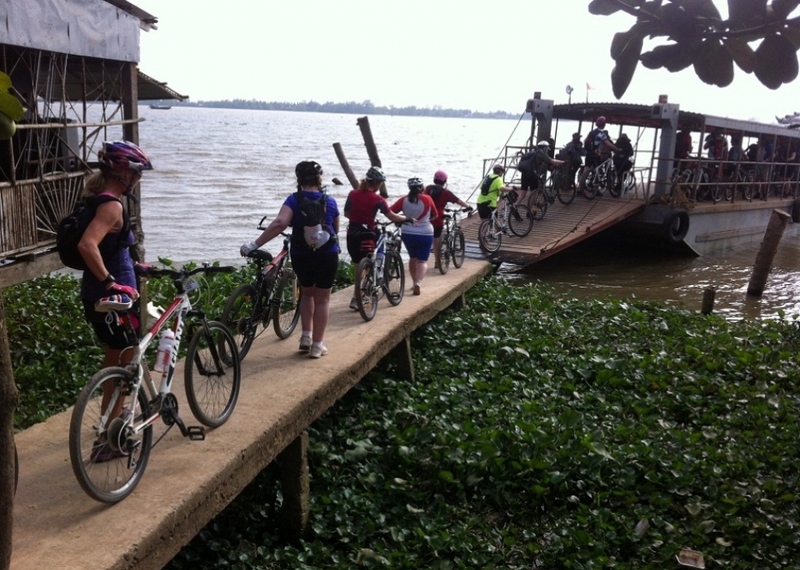 In the afternoon, we continue cycling to Muang Khua along Nam Ou river. 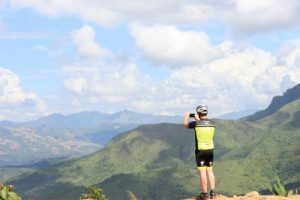 .the stunning wiew and friendly people in Laos will make you forget how hard of the cycling today.Overnight in Muang Khau. 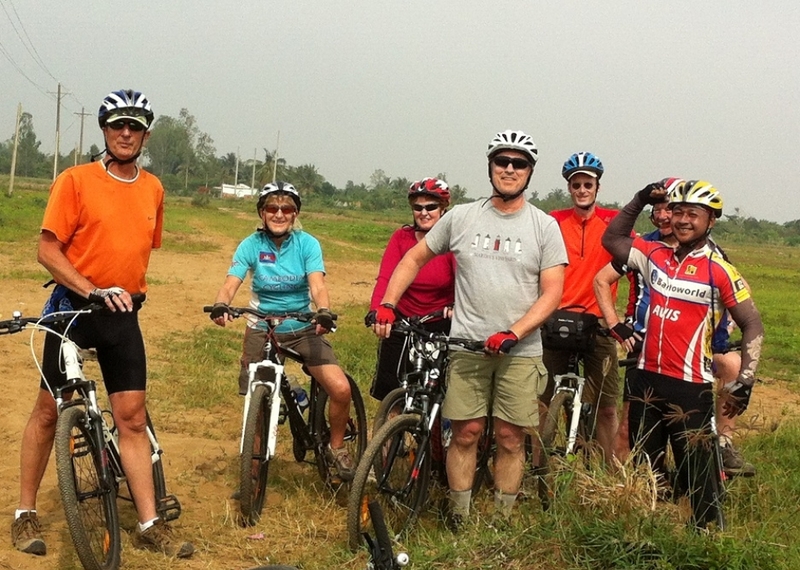 DAY 10: PAKMONG- LUANG PRABANGThe longest day will start with the cycling from the hotel on the main road passing Ban Thabu and we cycle along Nam Ou River .It is an interesting to cycle along the river through villages to enjoy the rural lives. Enjoy lunch on the river bank and take a power nap before heading to Luang Prabang, the World Heritage town. END OF THE TRIP!